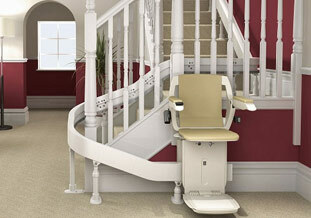 Our Brooks 180 Curved Stairlift incorporates many of the characteristics of Brooks’ best selling straight stairlifts. 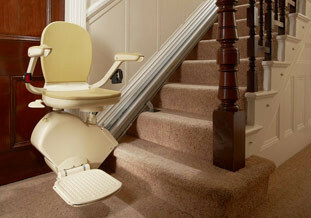 Made in Britain, the Brooks 180 is a market-leading stairlift, offering a wide range of options and accessories and is a major step forward in both reliability and comfort. 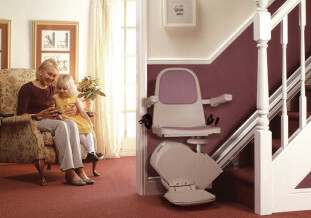 Brooks’ modular rail concept is the latest in technology and has been created to accommodate almost every curved staircase and can be installed very quickly. 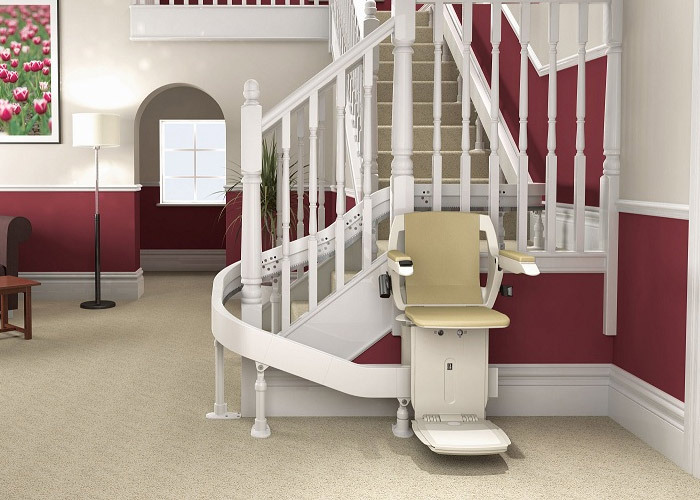 The Brooks 180 Stairlift delivers a smooth, comfortable ride along a slimline rail on either the inside or outside bend of your staircase. 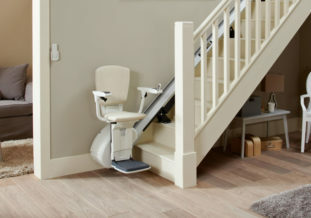 The well-engineered, slimline design provides plenty of access even on the narrowest of stairs and has been manufactured so that it blends subtly into your home. 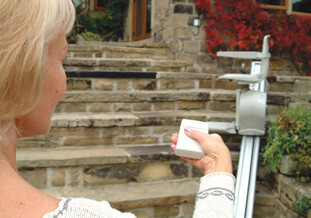 The Brooks 180 is designed for comfort and ease of use and is operated with a rocker switch on the arm. 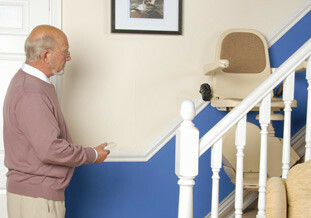 Remote controls are also provided for multiple users or to allow you to call the stairlift from anywhere. Given the need for adjusted speed and level upon cornering, the Brooks 180’s unique self levelling transport system smoothly moves the carriage along the single low profile rail. Excellent operational performance is ensured by the system’s electronic programming. One additional benefit to the Brooks 180 is its battery power source, providing not only peace of mind in the event of a power cut, but smooth and quiet operation. 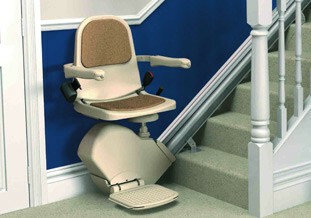 The Brooks 180 has a footrest set extremely close to ground floor level with no step, and provides easy access to the landing by matching its level with the top stair nose. 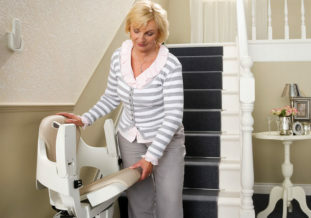 To allow for continued access by other members of the household, the Brooks 180 Curved Stairlift features a slim profile design that can be easily folded away, and includes a special inside parking capability. 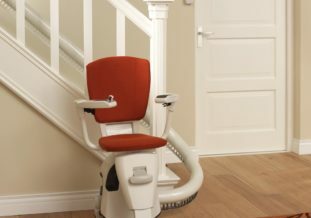 For more information on our Brooks 180 Curved Stairlift then simply get in touch with us through our ‘Contact Us’ page, or you can click here to view and download the brochure.